Although New City is relatively lean compared to some of the other cities in the United States, it still have over half the population being overweight or obese, according to the statistics. The obesity epidemic affects the minorities such as the Hispanics and African Americans to a significantly higher degree compared to Caucasians. How big is the problem of Obesity in New York City? Obesity is one of our most important and urgent health problems faced by people in York City –just like the rest of the country. In New York City, 55 percent of adults are overweight or obese. According to the Centers for Disease Control and Prevention (CDC), over the last 30 years, obesity has doubled among American children ages 6 to 11 – from 6.5% to 17% while obesity among 12 to 19-year-olds has more than tripled – from 5 percent to nearly 18 percent. Obesity and being overweight is estimated to cost the U.S. over $180 billion in health care costs each year. In New York City, 55 percent of adults are overweight or obese. Did you know that you can lose weight fast and safe in New York with insurance now, thanks to the 2010 Affordable Care Act that mandates insurance coverage for weight loss? As one of the very few medical weight loss and wellness programs in New York City to accept health insurance for physician supervised, non-surgical medical weight loss, W8MD medical weight loss centers of America has helped thousands of patients lose weight fast and safe and is ready to help you! Check out the amazing weight loss success stories and secrets of losing weight in NYC on our 52 weeks of weight loss and wellness video channel on youtube! Call 718-946-5500 to learn more or to make an appointment for weight loss in NYC. How to lose weight fast in New York City? Does exercising alone help you lose weight in New York City? What is the role of physical activity or exercises for losing weight? Do they have to be combined with other measures to lose weight such as a Very Low Calorie or Low Calorie Diets? What do the studies show on exercising for weight loss? While it may be a bit surprising to some, recent well established and well accepted research has shown that exercise alone is pretty useless for weight loss as exercise stimulates appetite and also builds heavier muscle. It is the VLCD or LCD diet with or without exercises although with exercise when possible is preferred. When using the fast weight loss method such as Very Low Calorie Diet, it is important to be done under medical supervision. The good news is that most insurances cover physician weight loss now, thanks to the 2010 Affordable Care Act or Obamacare even if you have private insurance or Medicare. Are wondering what is the best way to lose weight? Trying to figure out what really works and what does not for weight loss? Do you want to hear what a leading practicing, and specially trained weight loss doctor has to say on what works and what does not for weight loss? Do you want to learn about what really causes your weight gain? Check out the W8MD medical weight loss centers 52 weeks of weight loss and wellness videos. W8MD weight loss #10 – Vitamin D deficiency and how to reverse it! W8MD weight loss #9 – Cereal grains, humanities double edged sword! W8MD’s 52 weeks of weight loss and wellness – best collection, do not miss! How to lose weight fast and safe in New York City or Philadelphia? If you haven’t already, check your BMI. If your BMI is in the overweight range, aim to achieve a weight that puts your BMI in the healthy range. If it is in the overweight obese range, aim to lose between 5% and 10% of your starting weight. Let W8MD help you lose weight under the careful supervision of a trained and experienced weight loss physician using evidence based non surgical weight loss measures! “Dr. Tumpati takes his time with you to explain everything, very thorough” – Carolann Z. How can W8MD medical weight loss centers help me lose weight fast and safe in New York City, Philadelphia, King of Prussia, PA or places with insurance? W8MD is a physician supervised, evidence based non surgical medical weight loss and wellness program with offices in many states in the United States. Unlike the many “Cash Only” Weight Loss Programs, Most W8MD Centers Accept Health Insurance For The Visits! Insulin resistance is a condition during which the body’s cells don’t use hormone called insulin properly. this hormone helps cells use glucose for energy. • Insulin resistance increases the danger of developing prediabetes, can lead to other problems such as stroke, and cardiovascular disease. • Prediabetes or metabolic syndrome is a condition wherein glucose levels are over normal but not high enough for a designation of polygenic disease. • Causes of insulin hormone resistance and prediabetes are many and include the current high glycemic diet that triggers production of high levels of insulin, genetic factors, excess weight, and lack of physical activity. If you have belly fat, skin tags in the neck, or darker or thicker lines in the neck called Acanthosis Nigricans, you might be insulin resistant. 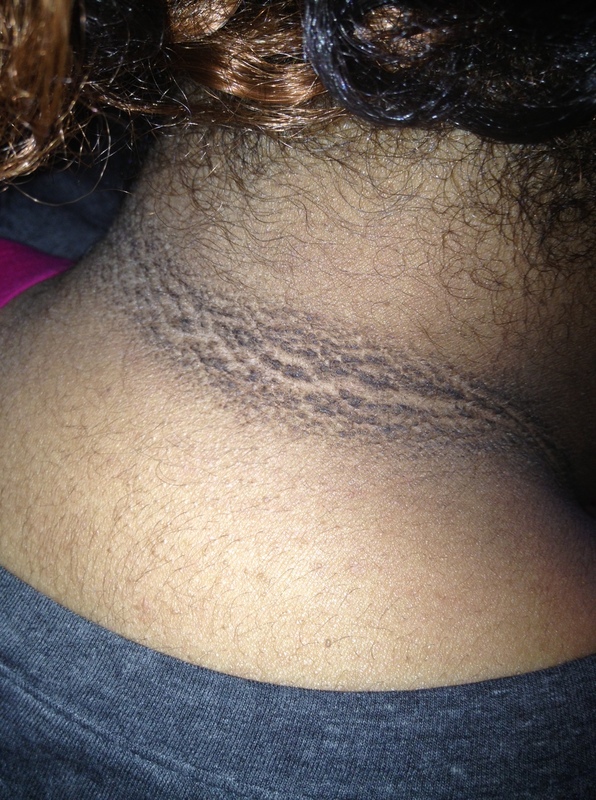 • What is Acanthosis Nigricans – velvety, mossy, flat, wart-like darkened skin on your neck or armpits or underneath your breasts? What can be done to reduce risk of diabetes? • Being physically active, creating wise food decisions, especially low glycemic, protein based diets, and reaching and maintaining a healthy weight can help forestall or reverse hormone resistance and prediabetes. How can W8MD Medical Weight Loss Centers of America’s Prediabetes/Metabolic Medicine weight loss program help? W8MD Medical Weight Loss Program could be a medical weight loss and sleep well-being program for those that are serious about losing weight and have failed other measures. We would like to provide you all the tools you would like to reach losing weight quickly and safe with offices in many nations within the us. we have a tendency to additionally supply a reasonable telemedicine program for those who don’t have W8MD center close to them thus you’ll be able to be evaluated by one among our physicians to know the advanced factors that result in weight gain and to plan a non-surgical strategy to assist you fight blubber. We can assist you accomplish long lasting weight loss while not feeling perpetually hungry. once you resent your weight loss program as a result of you’re feeling perpetually hungry, it’s rather more tough to continue any important long term changes for weight loss. once you feel hungry, you’re biologically driven to eat, and diet plans that force you to fight that biological impulse will be tough to take care of. At W8MD Medical Weight Loss Program, we would like to assist you accomplish lasting weight loss results for long term weight loss success. Dr. Prab R. Tumpati is an extremely trained and revered medical doctor familiar with the new obesity medicine drugs that are FDA approved. Dr Tumpati is also board certified in Sleep Disorder management such as sleep apnea as weight gain and sleep apnea go together.W8MD Medical Weight Loss Program is devoted to personalized treatment plan that works for you. As one of the very medical weight loss centers to accept health insurance for the weight loss physician visits, we can help you lose weight fast and safe. Your insurance might cover the cost of the weight loss physician visits, thanks to the Affordable Care Act that mandates insurance coverage for obesity. Our non-surgical medical weight loss program relies on the newest medical science and utilizes evidence based strategies to slim down and keep the weight off for a long duration. Dr. Tumpati oversees all our patients and helps customise their individual weight loss treatments. You can learn more on our main web site at http://www.w8md.com or call us at 1(800) W8MD-007. We have Weight loss and sleep clinics in North East Philadelphia, King of Prussia, PA and New York City.